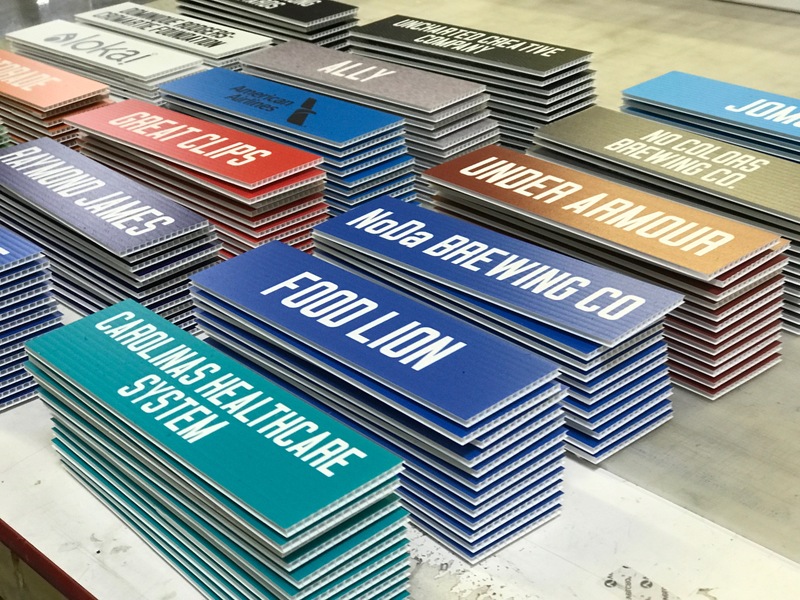 Richa Graphics has always been a believer in working hard for the greater good of the community – lend a helping hand to the community, because the community gives us our opportunity to service and thrive in this city. 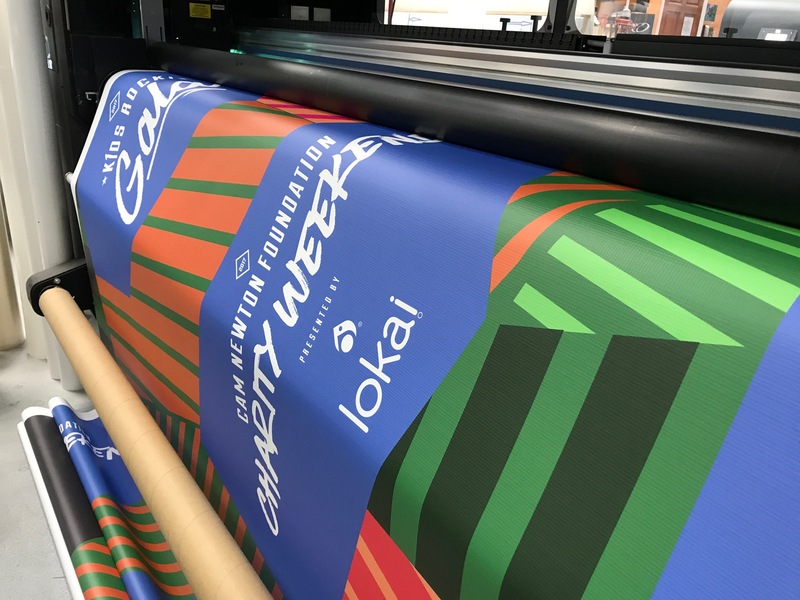 We were more than honored to assist when the Cam Newton Foundation approached our company in hopes of partnering up for their biggest event of the year – the Cam Newton Charity Foundation Weekend. 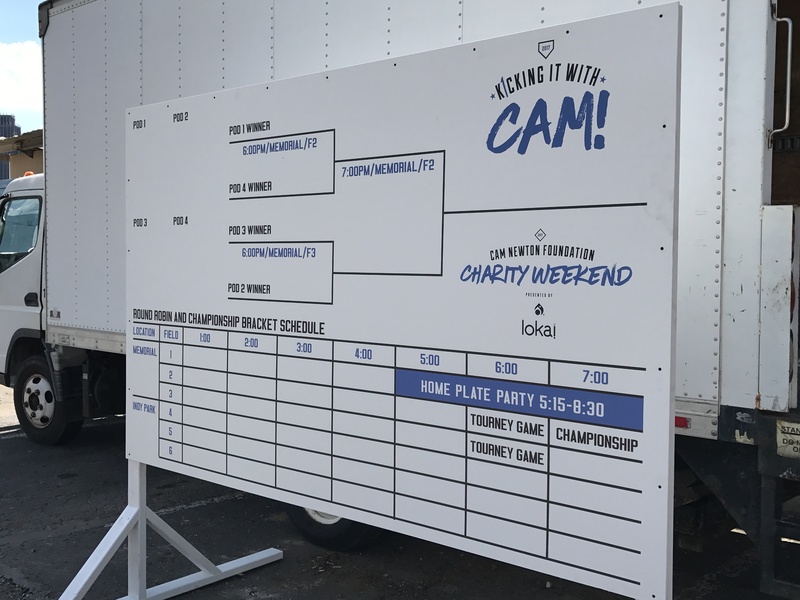 Kicking it with Cam – A charity celebrity kick ball tournament that engages the community and raises funds for the Foundation. 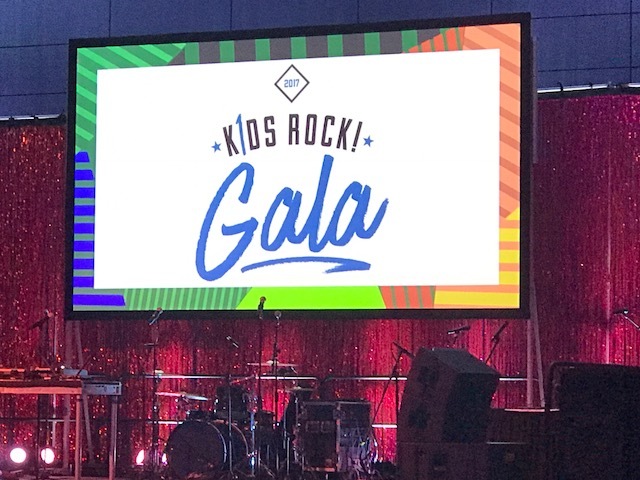 Kids Rock! 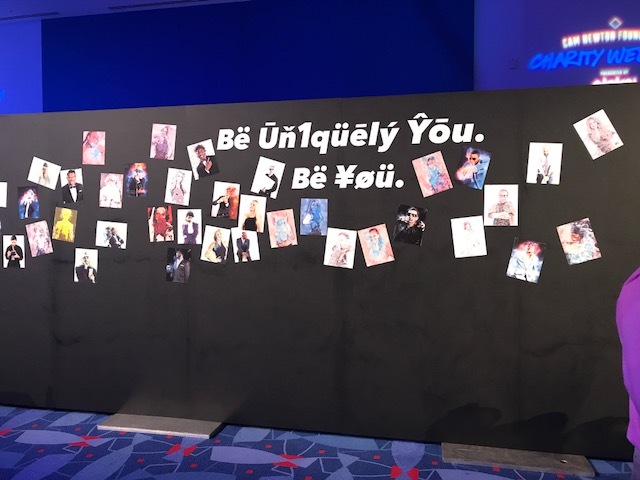 Gala – A very high esteemed event where the more generous donors enjoy a five-star dinner program with high energy music, dancing, celebrities, and an auction to raise funds for the Foundation. 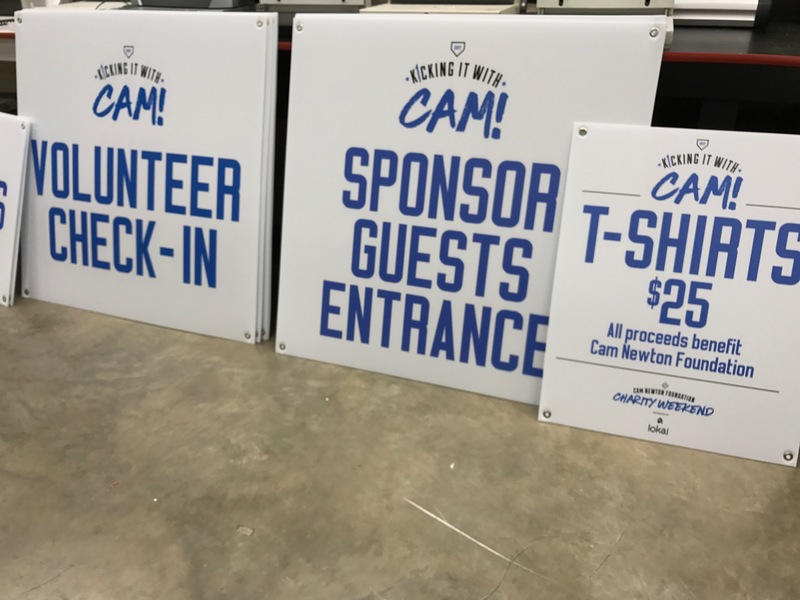 Richa Graphics was proud to have been a part of the weekend and to have a hand in supporting the noble cause that the Cam Newton Foundation is committed to. 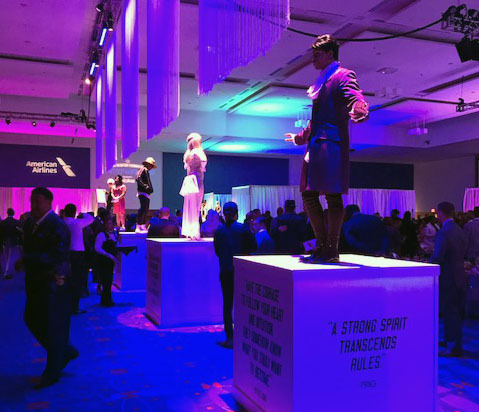 Serving as the official signage vendor and being held responsible with turning around a high volume amount of signage in a very tight timeframe, for such a high profile event, wasn’t easy but the on-going coordination and teamwork between CNF, TCE Events Management, and Richa Graphics made this a success. 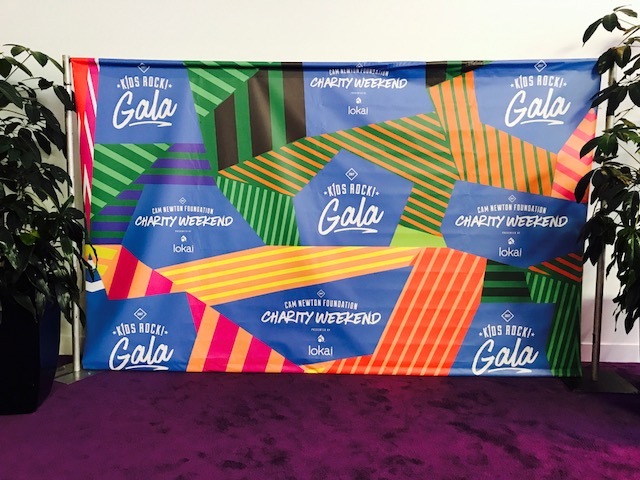 Kid’s Rock Gala Step & Repeat Banner at the entrance for arrival photos of the donors. 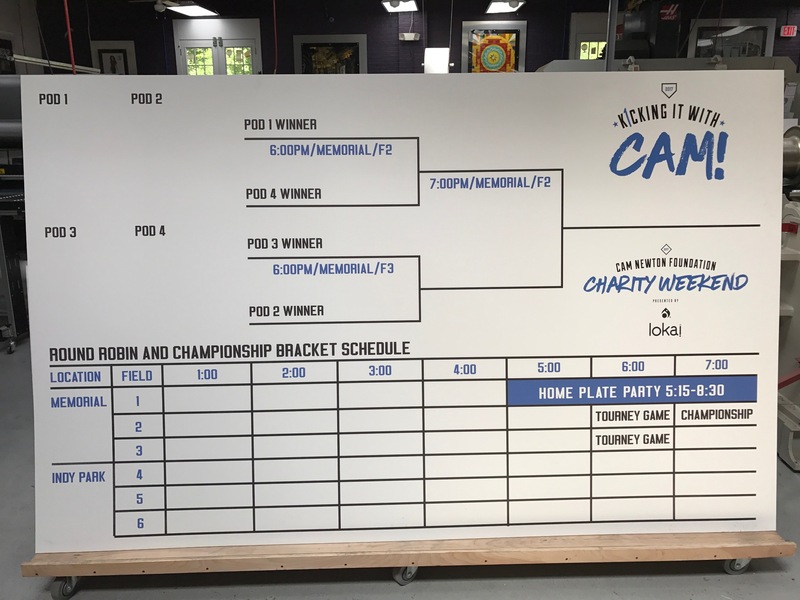 We encourage everyone to visit www.camnewtonfoundation.org to read more about the Foundation and see what you can do to help them to be successful in their quest of servicing the less fortunate. 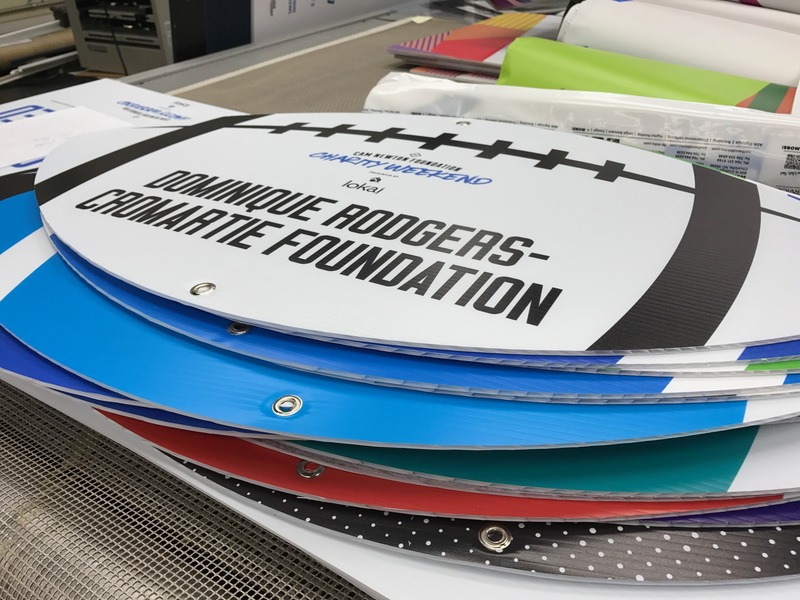 focus areas (“Every 1 Gives“, “Every 1 Learns“, and “Every 1 Plays“), the Foundation focuses on the need for community programs and underscores the importance of making education a priority. The Cam Newton Foundation also recognizes physical fitness and health as a vital element in comprehensive youth development and its relationship to leading a well-rounded and fulfilling life.